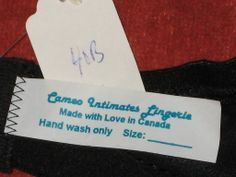 Cameo Intimates lingerie was a truly unique Canadian company that made hand-made *custom* vintage reproduction lingerie. 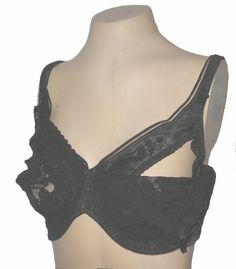 They made the most beautiful, unique lingerie at a very affordable price. Finding one of their pieces is a rare thing. 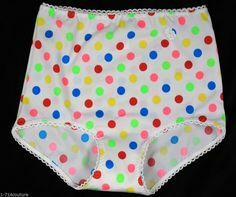 There was a seller on eBay (Maxhen Liquidations) that sold the last of the lingerie stock that sat in storage back in 2012. You were lucky if you got to bid on any of the discontinued lines and some pieces inspired an online bidding frenzy! 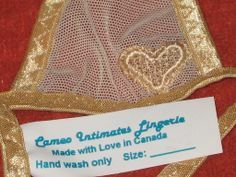 specialize in the manufacture of custom, handcrafted lingerie. style. 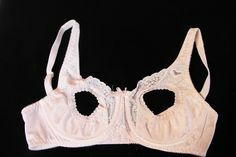 We also repair and modify vintage lingerie! designs or variations of our current line of products. There’s no company that can claim this today! The group currently has 8,508 members since it started in July of 1998. All links to the discontinued Cameo website will not work, there’s been a parked page there since they closed up shop. The former owners have been, in the past, open to finding someone to continue where they left off, so if you’re interested, you may contact them. Will you guys ever open again? There’s no one else that does what you did! It’s a pleasure to be of service. Yes, I am afraid we shut down and it’s permanent. We did not close due to a lack of sales, they were just fine, but rather some other personal matters. We did try to find someone who could take over the reigns (with us teaching them everything they needed to know), but I am afraid no one came forward. In the end, the company that purchased our line did so to make sure we never returned, A competitor (or somewhat competitor, since our stuff was pretty unique). They had us destroy everything here, included hundred of thousands of dollars of completed stock. A sad tale indeed. I am sorry we can not make something wonderful for you. Yes, a sad tale for sure. I miss you Cameo! To celebrate Connie and Chris’ amazing work, I’ve created a board on Pinterest to commemorate their beautiful designs and to (hopefully) inspire some of you. Secrets in Lace Coupon Code: Take 30% Off Sale Items! 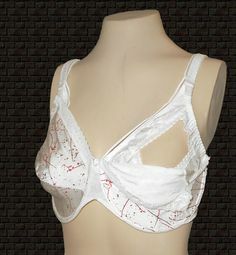 New What Katie Did Autumn/Winter 2013 Fetique Lingerie Collection Secrets in Lace launches the Bettie Page Collection New Mocha Elizabeth Collection at Secrets in Lace Kiss Me Deadly Van Doren Wireless Support Bullet Bra.